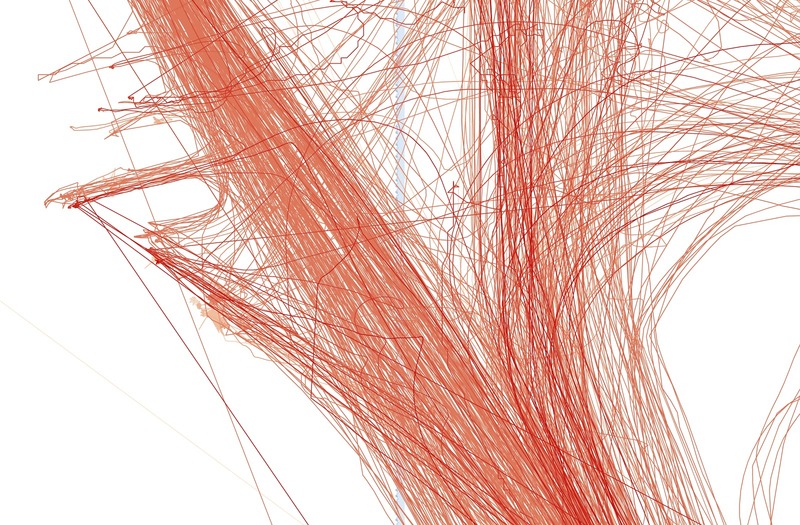 the images were produced from the position data of the various vessels transiting the harbour. 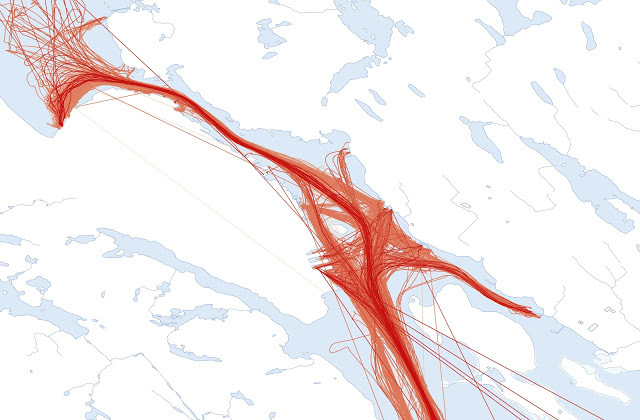 the individual points were joined to form lines, then overlaid on Halifax in Arcgis. 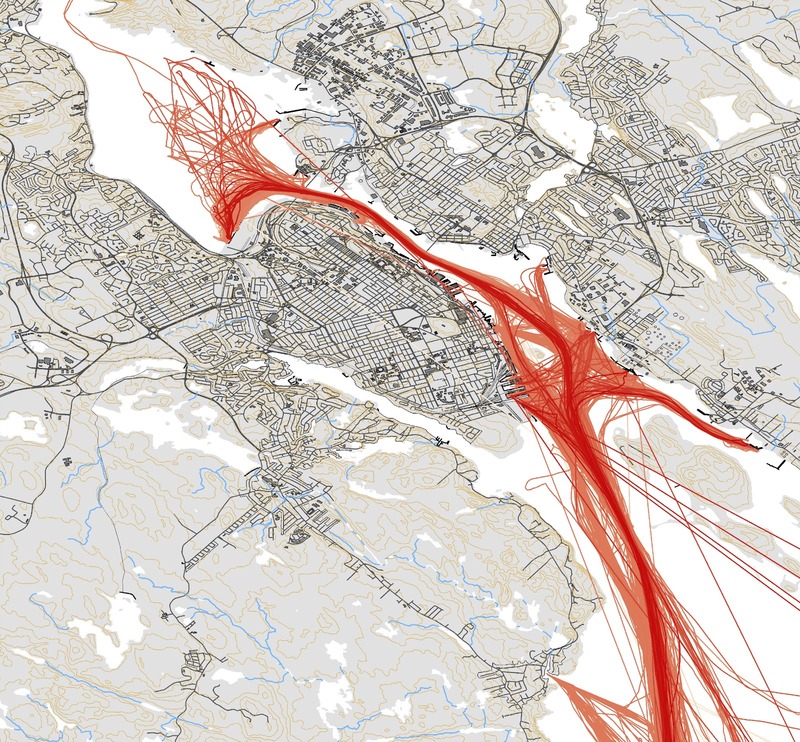 This entry was posted in port, Traffic on October 18, 2012 by Peter Ziobrowski.